A hub of knowledge, Autodesk Research was designed to assist its users in imagining, designing and, ultimately, creating a better world through the convergence of art, math and science. Our role was to help them bring these ideas together into a single repository. Here’s how we did it. Autodesk Research aims at advancing technology in human-computer interaction, computer graphics and digital design technology, all while collaborating openly with researchers at leading universities around the world. Excelling in innovative thought leadership, Autodesk Research needed a site that was not only reflective of the world-changing work its team was producing, but one that was also easier to manage. With this in mind, Noble Studios set out to create a new, responsive site that spoke to the brand’s strengths of research and technology. To begin, Noble undertook a detailed discovery, which allowed us to fully understand the content ecosystem that the new site needed to be able to support, while at the same time identifying future technical improvements, such as back-end configuration and CMS. With the goal of creating an approachable database of information, Noble focused on a simple yet practical design that would speak to the confidence behind the Autodesk brand. 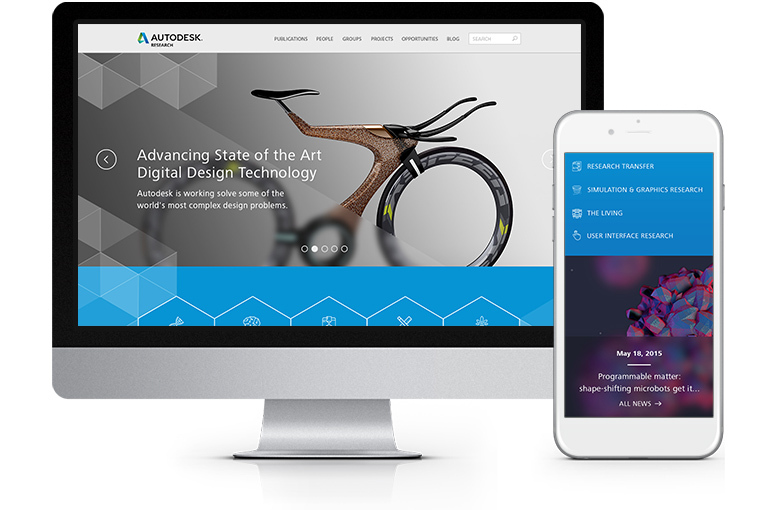 Integrating a clean, clear layout using the brand’s familiar colors and fonts as well as a customized geometric pattern, Noble elevated Autodesk’s website to reflect the state-of-the-art technology and research being produced by its team. With all the pieces in place, the result is a functionally beautiful solution that effectively houses content while still engaging users. 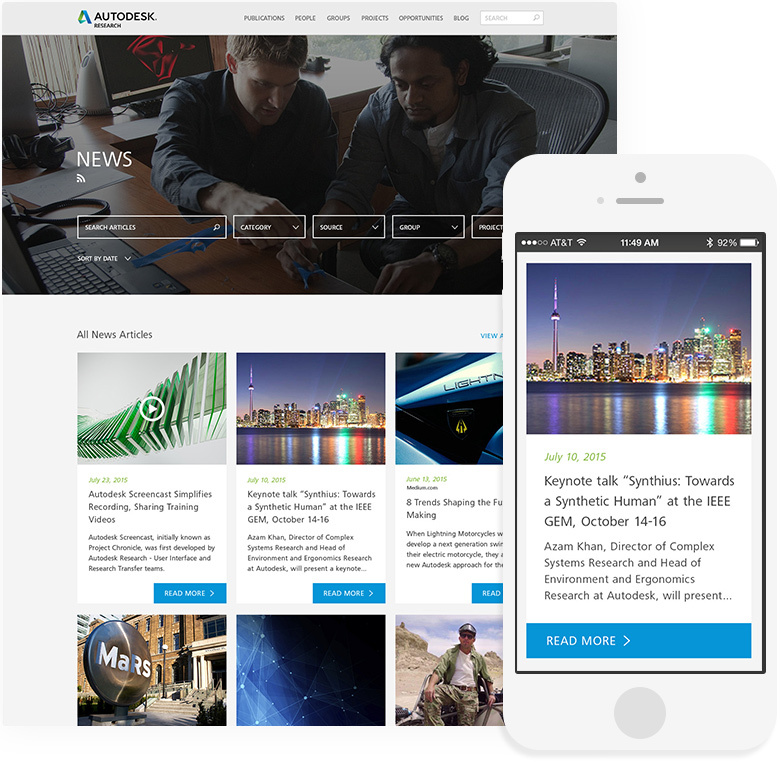 Autodesk Research’s new site, while remaining intuitive, represents the brand as something it always was: A leader in design. With the new website now fully responsive, users have the ability to access it anywhere at any time. From office meetings to on-the-go moments of inspiration, there’s no limits to how far AutodeskResearch.com can go. The site has been an invaluable tool for both Autodesk’s research team and their constituents, with early analytics reports showing tremendous user engagement.